UPDATE - December 6th, 2013- The Bermuda Chamber of Commerce has been advised by the City that their free parking incentive only extends to the Number One, Number Five and the City Hall parking lots, and not throughout the City as first indicated. 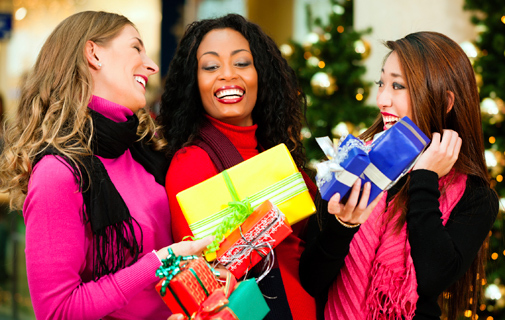 The Bermuda Chamber of Commerce’s Retail Division is pleased to announce TWO pre-holiday shopping incentives. Retailers have been granted a waiver to the Public Holidays Act, 1947, allowing stores of any size, island-wide, to open between 9 am and 9 pm on Sundays, December 8th, 15th and 22nd. Secondly, following discussions with the City, Hamilton shoppers will have access to free parking throughout Hamilton, from 2 pm to 6 pm Friday, December 6th, and 8 am to 6 pm on Saturday, December 7th. In making the announcement Retail Division Chair Paula Clarke noted; “We are delighted that the Ministry of Economic Development has granted us a waiver to the Public Holidays Act 1947, to allow stores of any size, island-wide to open as they wish, between the hours of 9 am and 9 pm on all three Sundays leading up to Christmas. The application for the Sunday shopping waiver was requested as an interim measure, as the Chamber awaits promised changes to the Act. It is anticipated that the amendments to the Act will go before the House prior to the holiday recess, and if passed, go into law early next year. While the details of the proposed legislative changes are not yet known, it is hope that once amended the Act will minimize regulatory oversight of the industry, thus allowing merchants to operate according to public demand.